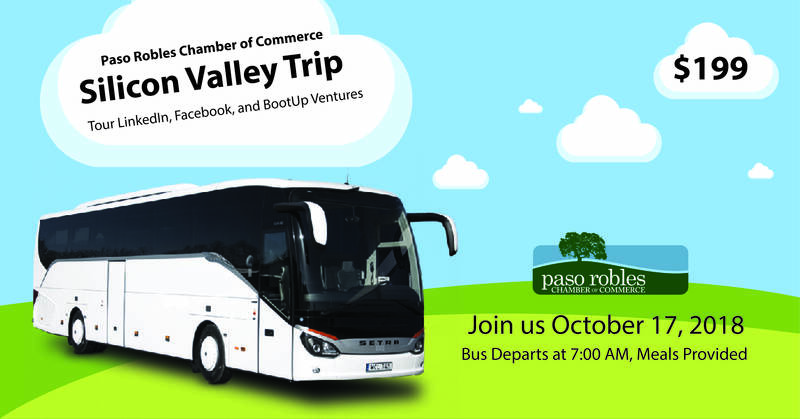 Join the Paso Robles Chamber of Commerce as we tour the Silicon Valley's most popular tech companies! Facebook and LinkedIn will provide tours and presentations on how to use their products to grow your business. You will have the opportunity to visit an innovative co-working space at BootUp Ventures. We will enjoy lunch at the LinkedIn Cafe. Bus will leave promptly at 7am. Please arrive at least 15 minutes early. Return time is estimated to be between 8 and 9 pm.